Here's my little surprise to you all! 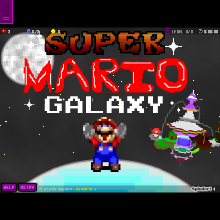 This is the first tribute that I have ever made, and it is to the epicness of Super Mario Galaxy! In this tribute, you will play as Mario as you travel in between the lines and verses of a celestial waltz. Only the pianist will know what this song truly is.